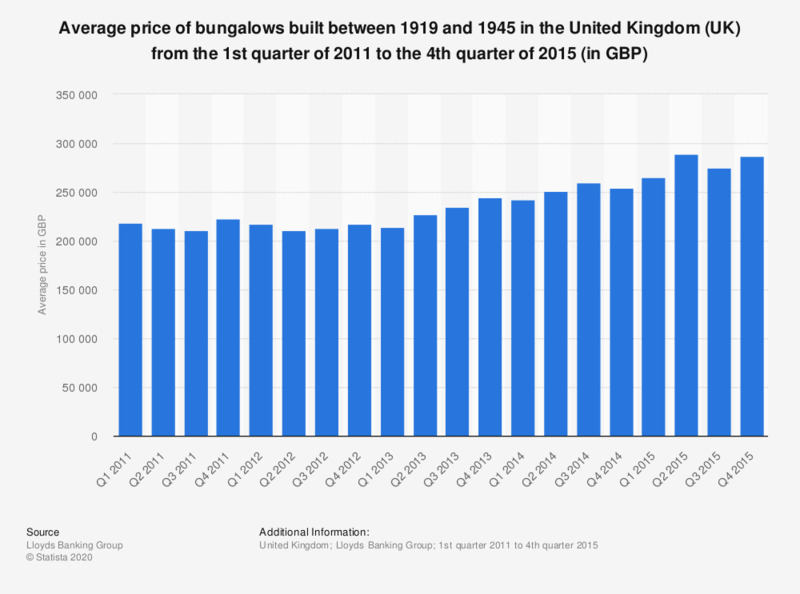 This statistic shows the average price of bungalows built between 1919 and 1945 in the United Kingdom (UK) from the first quarter of 2011 to the fourth quarter of 2015, according to the Halifax house price index. The average price of a bungalow reached nearly 289.6 thousand British pounds (GBP) by the end of June 2015. Prices shown are arithmetic average prices of houses on which an offer of mortgage has been granted. These prices are not standardised and therefore can be affected by changes in the sample from quarter to quarter.